Legg Mason just bought into a Garden State ETF innovation shop, and the folks at that shop see this as "business as usual but with far more resources." 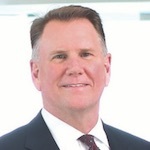 This morning Legg [profile] chief Joe Sullivan unveiled a trio of deals for his publicly-traded, Baltimore-based, multi-boutique asset manager. For one deal, Legg is buying a real estate investment manager, and for another Legg is merging its own hedge fund platform with another alts shop. For the third deal, Legg just effectively bought a 19.9-percent stake in Bedminster, New Jersey-based Precidian Investments. And Legg has an option to later buy a majority stake in Precidian. "We've removed capacity constraints," Stuart Thomas, chief operating officer and founding principal at Precidian Investments, tells MFWire. "We've aligned our interests with one of the best asset managers in the world." The deal, Thomas says, "arose through the normal course of events and conversations surrounding ActiveShares." ActiveShares is Precidian's in-development take on fitting active management inside an ETF wrapper. Thomas confirms that Precidian "continues to be predominantly owned by the founding principals," and Battery Ventures still owns a stake. And Precidian isn't moving to Baltimore or New York, either. "We will remain here in Bedminster," Thomas says, noting that four of the Precidian's partners are in the New Jersey headquarters and a fifth is in Boston. The deal, Thomas says, is "a fantastic alignment of resources and talent." He praises Legg as having "first rate investment management" and "one of the best distribution teams in the world." "It gives us a lot more flexibility in addition to support," Thomas says. "We look at this as a complement to their extension into the ETF business and look forward to working with their ETF product development team." "They are the perfect partner to work with Legg Mason on product development in fast growing areas of the ETF market," Sullivan states. Thomas describes Precidian as "an intellectual property shop" in the ETF space. The 10-year-old firm, previously called Next Investments, has worked with SSgA and Guggenheim.